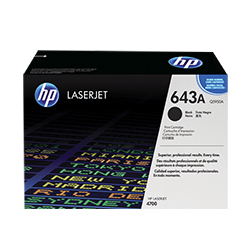 HP Color LJ 4700 Black Toner Cart. 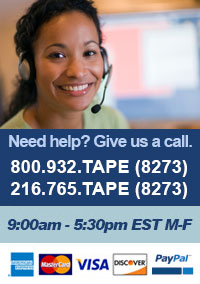 (Q5950A) : Disk-O-Tape, Inc.
Fast, easy, brilliant results. New HP ColorSphere toner is tuned with the printing system to optimize quality and reliability. When hassle-free, photo-quality printing is this easy, you're more productive and that's real value. High-technology matches the brilliance of your ideas with new HP ColorSphere toner. Up to 40% higher-gloss produces a dynamic range of bright, brilliant color for photo-quality business printing that brings your ideas to life. Quick, easy, more productive. HP ColorSphere toner enables fast, high-quality printing. HP Smart technology in HP supplies interacts with the printer to consolidate needed supplies into a single order.